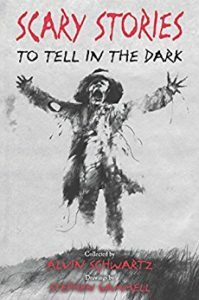 Flashback Summer gathered around the campfire to read Scary Stories to Tell in the Dark by Alvin Schwartz & Stephen Gammell with our editor Becca. Put your hand in a bowl of peeled grapes and listen to hear how deeply upsetting Renata finds the formative stories of Kait’s childhood. Remember: the best way to make sure your friends know that you’re telling them a scary story is to end it with a scream! Candy Pairing: Becca says a big toe, Kait says peeled grapes, Renata says peanut butter taffy. Coming up next: The House of Danger by R.A. Montgomery.